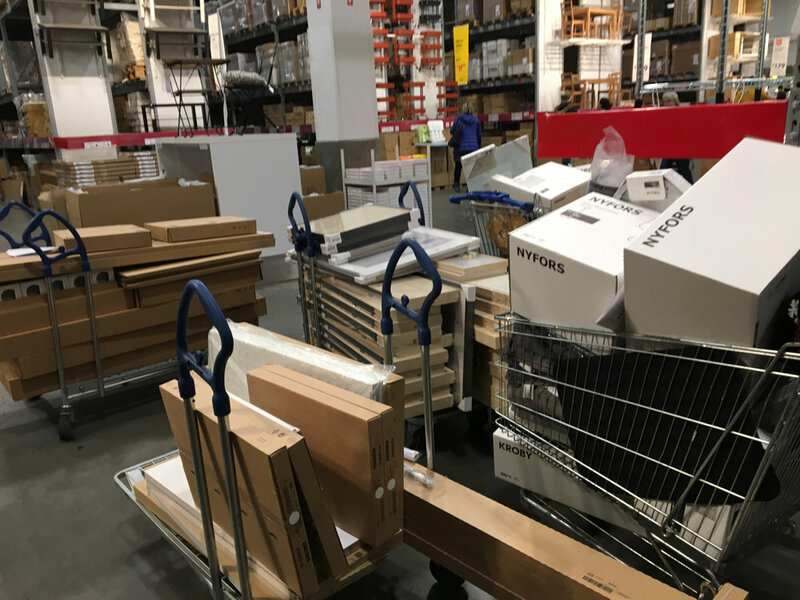 I’m sorry to say I can tell you what it looks like to checkout with seven full carts of IKEA. with Jessica Petruccelli, partner in crime. It was a two person job. When someone asks about the glamour and fun of set decorating I always mention the number of lunches I’ve eaten in my minivan in the IKEA parking lot.